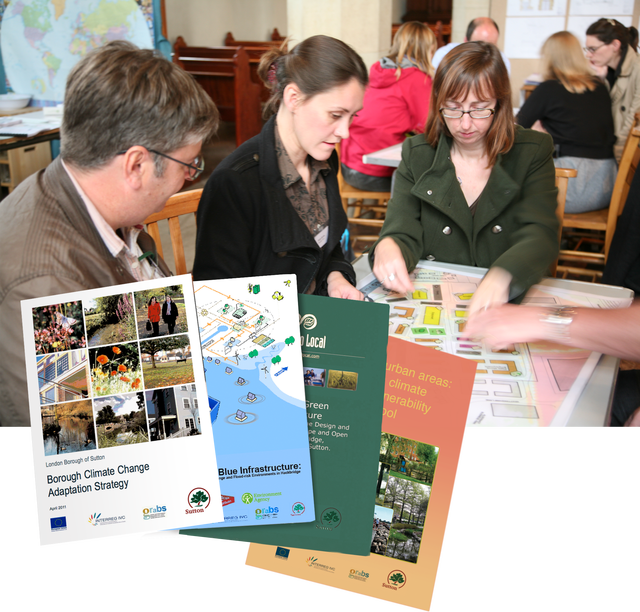 The London Borough of ‘Suttons Climate Adaptation Action Plan’ was yesterday announced as one of the best EU INTERREG projects, and used to illustrate the success of INTERREG IVC Projects to the EU Commission and EU Member States. Baca designed & developed the Blue Infrastructure toolkit, which along the Greenspace toolkit (Global to Local) and the Climate Change Risk and Vulnerabilities Assessment (Manchester University) constitute the main outputs of Suttons Climate Adaptation Action Plan. In addition, Age Niels Holstein (NL), Programme Manager for INTERREG IVC and author of the expert paper on public consultation presented Baca’s ‘Planning for LifE’ to the European member partners as an exemplar consultation tool ‘creating an interface between the professional world and the living environment of ‘ordinary people’ in this case induced by climate change impacts (flooding)’. The Planning game formed one of the key workshops at the conference. The 2-day conference concluded with thanks to all contributors hosted by the TCPA (Town and Country Planning Association) at the House of Commons.